How to make the clean energy transition happen is one of the key challenges the world is facing. 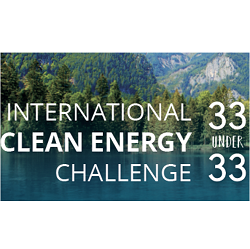 To find fresh solutions and new ideas for sustainable energy in buildings, industry and transport, we are inviting 33 young professionals and researchers under 33 (born after 1985) to tackle this challenge in an event of collaborative thinking across disciplines. Meet other young innovators from all over the world. Build-up your peer network ! Be inspired for new ways of thinking about the energy transition ! Win an award for the best project ! Bright young thinkers from all disciplines (business, engineering, economics, social sciences, law etc.) and from all over the world ! Upper Austria - one of the nine Austrian regions - is a European leader in the energy transition. Greenhouse gas emissions in the building sector were reduced by 43 % in the last 10 years. Renewable energy supplies 32 % of all primary energy and 58 % of all space heating. This has also resulted in a strong innovation ecosystem and the growth of a vibrant industry that successfully exports worldwide. The meeting will be held in the landmark building of a former monastry, surrounded by the panorama of the Austrian Alps. The "Pyhrn-Priel Holiday Region" is characterised by a picturesque scenery of alpine pastures and lovely villages. The event is organised by the regional energy agency of Upper Austria in collaboration with businesses and research organisations. An event for young professionals: Bright young innovators will develop concrete energy solutions in diversified and interdisciplinary teams. Have an impact on the success of the clean energy transition! Apply now and join us in Austria in July for this once in a lifetime experience!